The cryptocurrency community is enjoying the new green market after being held captive by the bear for a long time. However, one coin which performed exceedingly well even in the bear market was Tron [TRX]. Tron Foundation’s elaborate activities including the niTron summit and the launch BitTorrent token [BTT], had made TRX holders positive about the future of the token. However, the ongoing spree of scams has converted many dedicated members of the cryptocurrency community against them and one such probable scam has infected Tron Foundation’s ecosystem too. 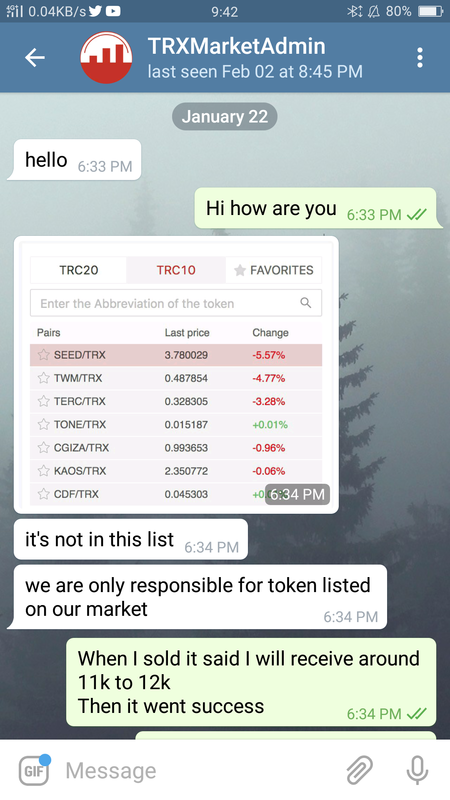 TronCandy [TRZ], a TRC10 token could be an example of the perfect exit scam where investors are stuck with a delisted token. 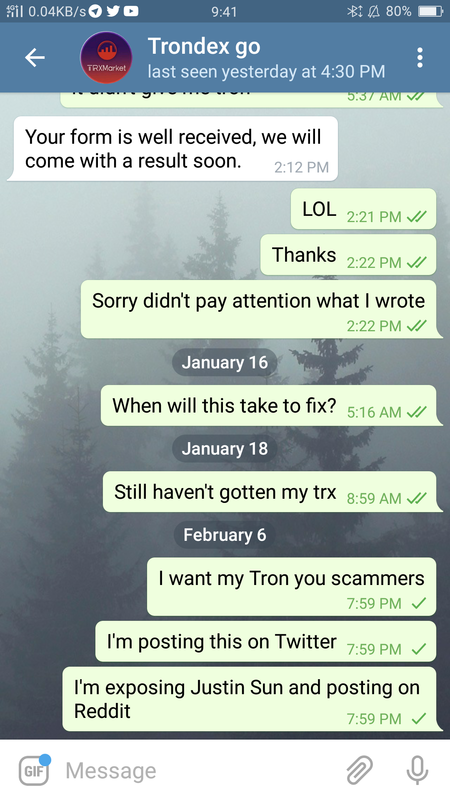 AMBCrypto had contacted Justin Sun and the Tron Foundation about the alleged rise in scams on their platform, but did not respond. People who have constantly shared these experiences with Sun and the Foundation have also been unsuccessful in garnering a response for the millions of missing tokens. 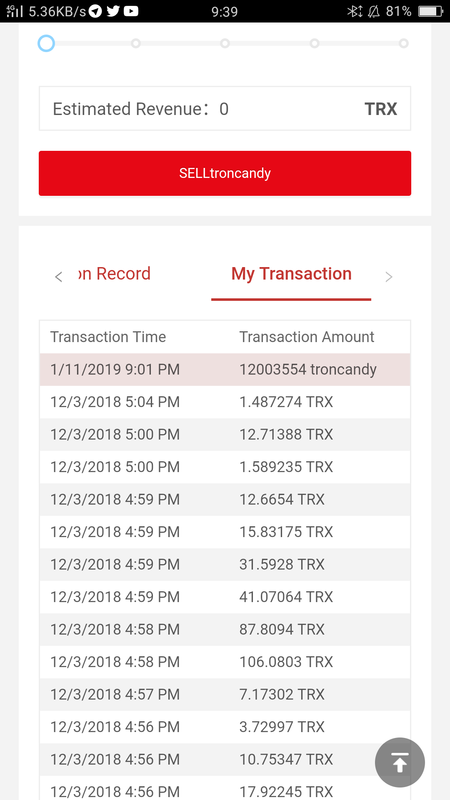 There is not much information available about the inception of the TronCandy project, but according to their unfamiliar Twitter presence, it appears to have launched around November 15, 2018, and once the tokens were bought, it got delisted from Tronscan.org Dex in the following month i.e. December 2018. Wahid then took the issue forward on Tronscan’s Telegram, where he claimed that the users were “spamming the chat with the same problem in their site where people had lost their balance”. He later added that Tronscan provided him with a form to fill. On submission, they confirmed its receipt and informed that an update will be provided soon. However, he says that they did not get back to him. 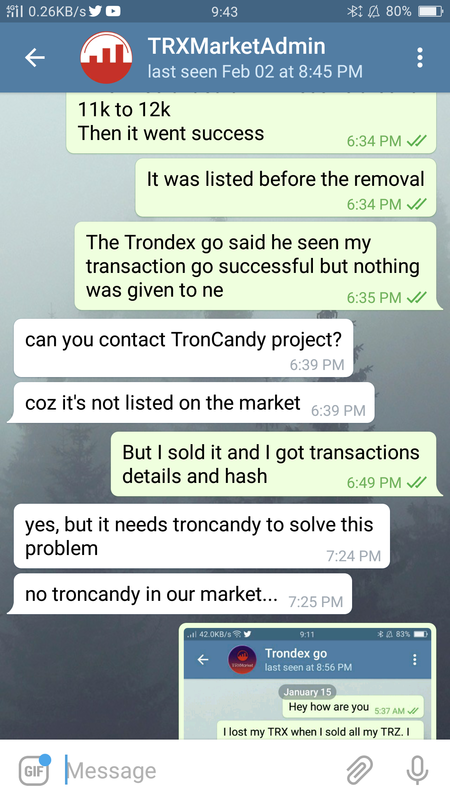 Wahid continued by saying that he further contacted another person, apparently from Tronscan, and they told him that “we don’t have TronCandy”. Wahid ended his post by asking for justice and not compensation and provided the community with screenshots of his conversations with the two Tronscan telegram IDs in question, along with the hash details. 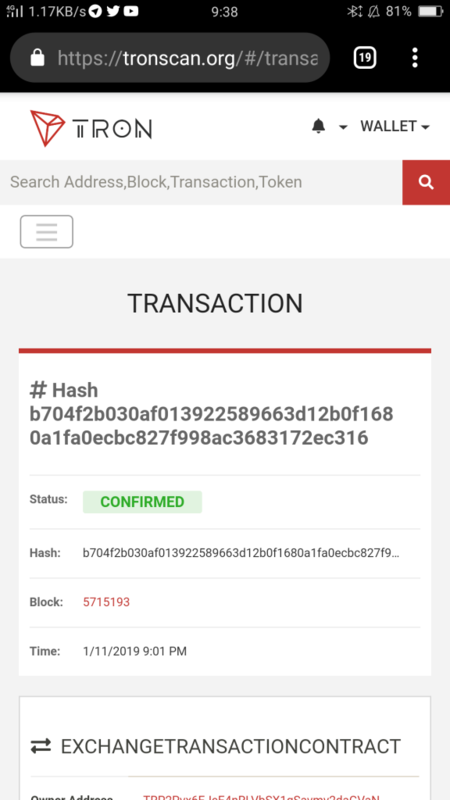 AMBCrypto researched on the Hash details provided by Wahid on TronScan and did find the confirmation of the transaction on the 5715193 block. However, unlike other exchanges, this transaction did not mention the source (‘from’) and the amount. The owner address did have the transaction details, but the balance was not made available. We looked into the link provided on Tronscan for TronCandy, however, there was no site and was instead taken to a different website. When the Twitter handle of the said token was analyzed, it appears to be a very unfamiliar page for a popular Tron token and with the handle name @hjdm9, which raises suspicion. The page also had a very limited number of tweets, which did not include the mention of Tron foundation or Justin Sun promoting it, but included one retweet of Justin Sun’s tweet. 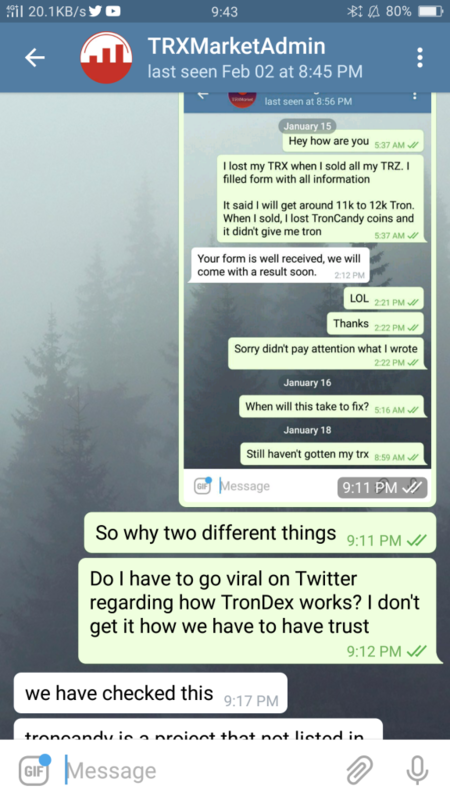 An interesting fact about Tron is that it allows users to create their own token and many Redditors suggest that this could be a probable scam and looking at the last tweet from the TronCandy ‘official’ account, this incident with Wahid could be a probable ‘exit scam’. TronCandy has no other internet presence that is currently accessible. 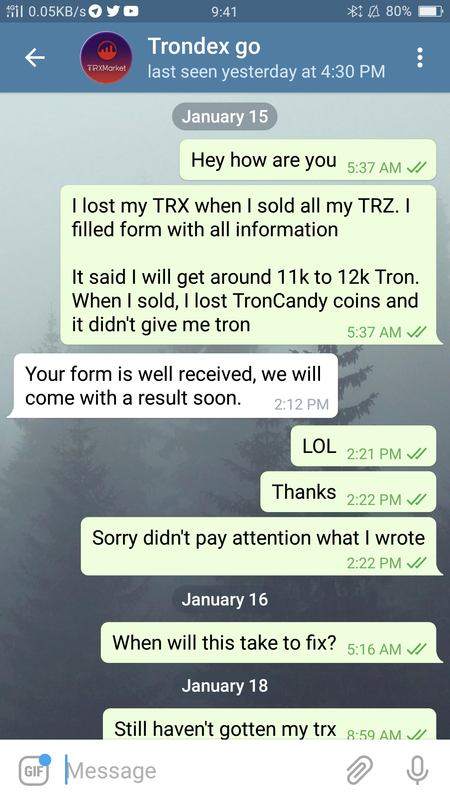 Apart from the Troncandy project duping people, there are two more projects that have been accused of scamming people – Tronlottery and Tronpoker. A Twitter user @Rad_Shar, who had invested in the aforementioned projects, said in a private conversation with AMBCrypto that he believed that “they exit scammed” him. The people who have lost their money in such seemingly fake tokens and many other such scam projects expect some level of accountability for their losses from the Tron Foundation and Justin Sun, and a fix is much needed for such projects.